It is no longer news that NUC has upgraded point system for universities across Nigeria . The grade system which looks more constricted now by reducing the highest obtainable CGPA from 5 to 4 have made students complaining across the country . 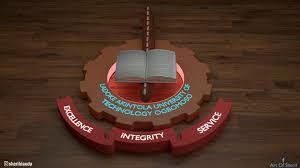 Lautech , among other universities have adopted the new grading system .